Facebook is now a honey pot when your friends click on malicious things without their knowledge. A few days ago the author got a message on Facebook from a person he very rarely speak to, and he knew that something fishy was going on. The message uses traditional social engineering to trick the user into clicking the link. The message reads “David Video” and then a bit.ly link. 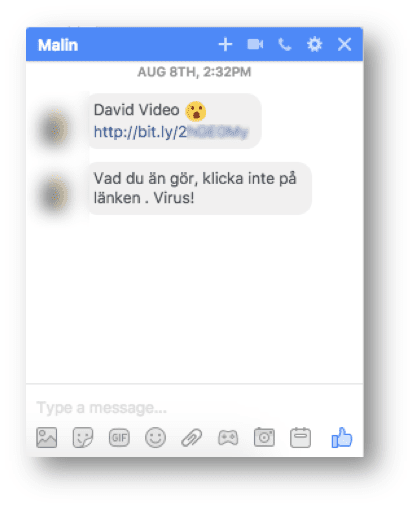 Related Posts of "New malware spreading via Facebook Messenger"